Posted on 16/04/2015, in the whole rom com list and tagged Adam Levine, Catherine Keener, CeeLo Green, Hailee Steinfeld, James Corden, Keira Knightley, Mark Ruffalo. Bookmark the permalink. 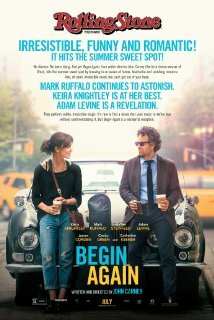 Comments Off on Begin Again.